June 10, 2015 October 15, 2015 tobidoylemacbrayneUncategorized, WTF? Is it a joke? Is it for real? Searching the interweb revealed these men “working” it at a beach. Although I noticed the very expensive camera equipment behind them. So, maybe it’s just a ruse? Please, please be a ruse! 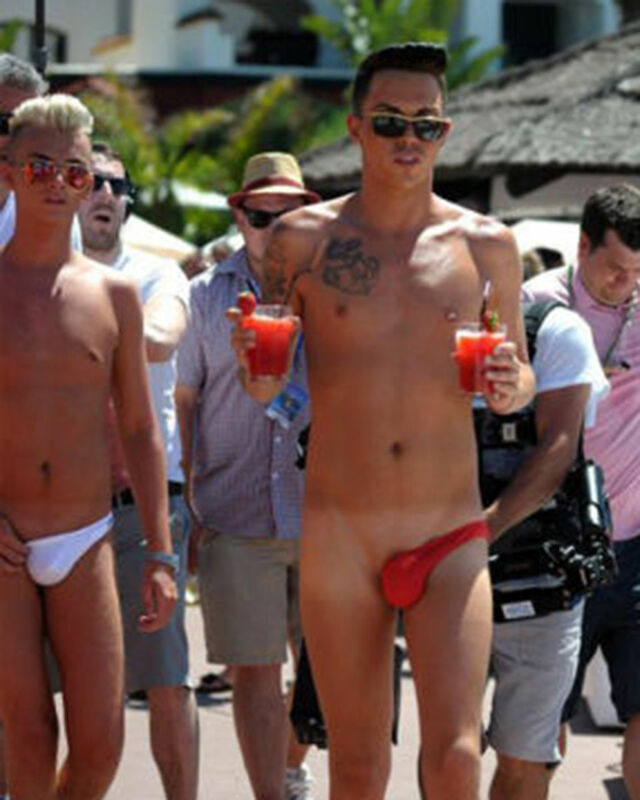 Right now I vote these as a #ManCandyFail, but then I’m so old I remember when thongs referred to footwear. ManCandy Monday – Stuart Reardon on the Beach? Yes, please. ManCandy Monday – Coppertone time? 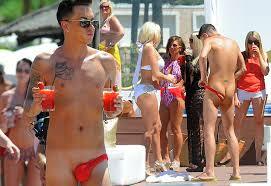 Well, I can’t find the asymmetrical, but I did find the sling thong! Check it out!! Nope – found one on ebay! Really…how do it know…to stay on! OMG – the pics are real – here’s a story about the guy – he’s in a tv show, must be English?